Excerpts from the archeological field journal of Francesca Nokom Gutierrez, fictional archeologist in the Mists of Palenque series. Early photography in Palenque by Desire de Charnay, Teobert Maler, and Alfred Maudslay is described by Francesca in The Controversial Mayan Queen: Sak K’uk of Palenque, Book 2 in the Mayan queens’ series. 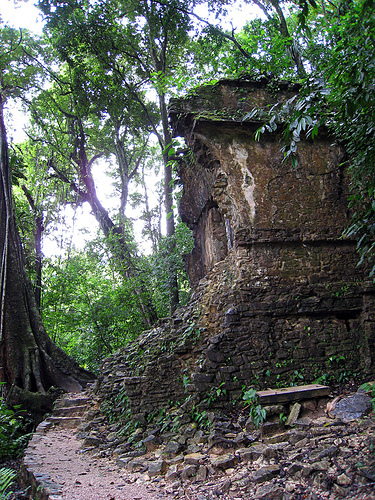 Photography initiated a new era in documentation of Maya ruins. 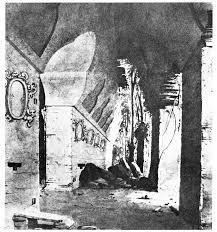 In the 1780s, a couple of Spanish expeditions came to Palenque and made crude drawings of structures and art. 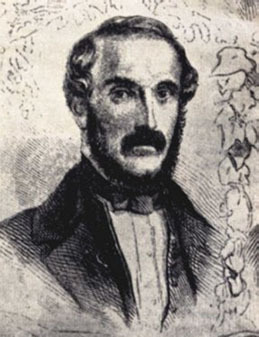 The King of Spain was interested in the geography and history of his overseas colonies, and dispatched Artillery Captain Antonio del Rio from Guatemala to bring away samples. Del Rio removed stucco hieroglyphs, parts of figures and small panels that now reside in Madrid’s Museo de America. 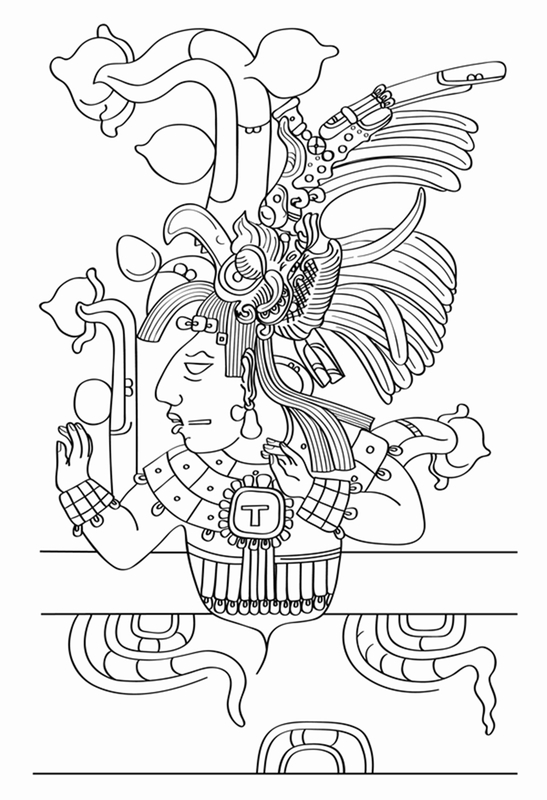 Numerous drawings by artist Ignacio Armendariz from this expedition were the first reasonably accurate reproductions of Palenque’s huge array of art. The flamboyant artist, traveler and antiquarian, self-styled “count” Jean-Frederic Maximilien de Waldeck adapted Armendariz-Castaneda’s art with his own embellishments of musculature and costumes that gave a distinctly Roman look. Waldeck, like some other early explorers, believed the people who built these cities came from the “old world,” perhaps Rome, India or Egypt. 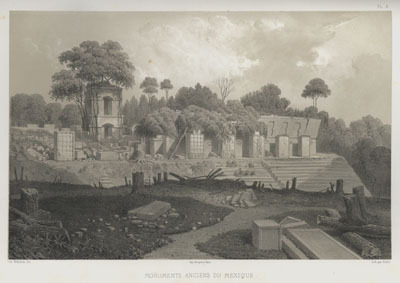 This art appeared in an 1822 publication of the del Rio report, with many images copied into Lord Kingsborough’s sumptuous volume the Antiquities of Mexico in 1829. 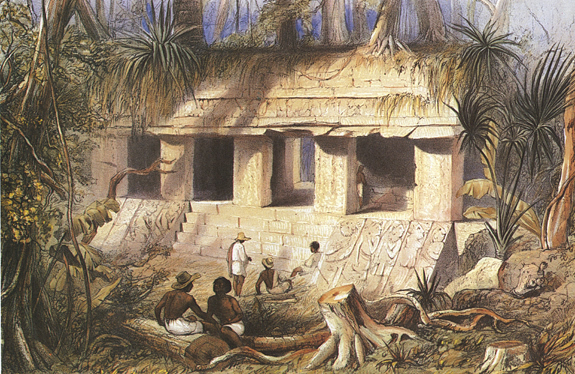 Waldeck resided at Palenque in 1832, building a pole-and-thatch house near the Temple of the Cross and recruiting a local Maya girl as his housekeeper. The structure called Temple of the Count is named for him. He made numerous drawings of reliefs and glyphs, some were careful reproductions but many were fanciful with evocative views of buildings and romantic landscapes used later for paintings and lithographs. 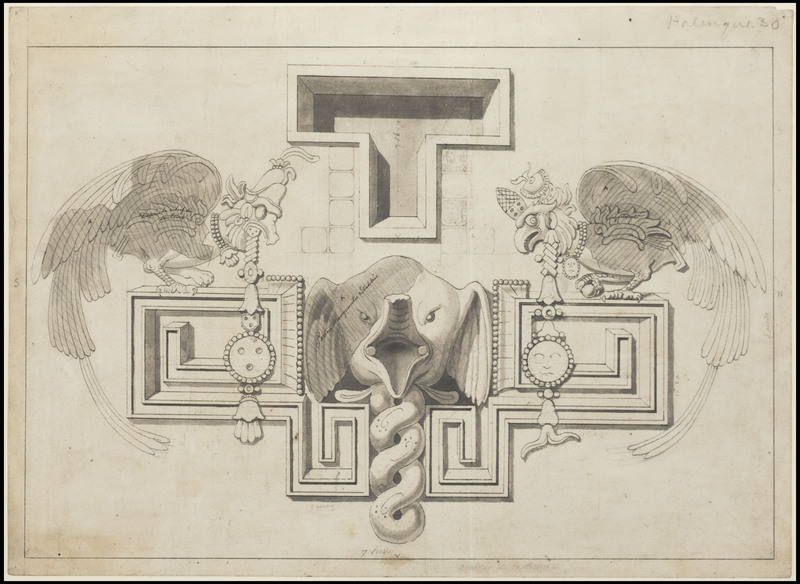 I can forgive Waldeck for many of his absurdities, such as including elephant heads and Hindu designs in renditions of Maya art. But I cannot forgive him for partially destroying one of Palenque’s loveliest stucco sculptures, the “Beau-relief” that once adorned the Temple of the Jaguar. It depicts a graceful figure with flowing headdress and geometric-patterned skirt, seated on layered cushions upon a double-headed jaguar throne. The figure’s arms and legs hold elegant, ballet-like poses. Waldeck did draw the figure first, as did Armendariz half-a-century earlier. Why he destroyed it is a mystery. 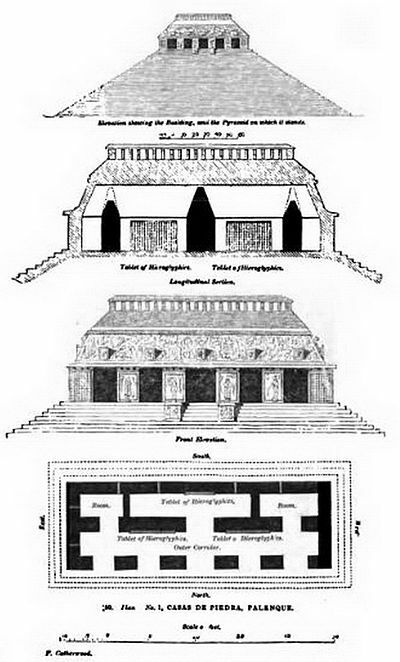 These drawings were reproduced in a number of books and magazines, and caught the attention of two men in the United States who really “put Palenque on the map;” John Lloyd Stephens, American popular travel writer and Frederick Catherwood, English architect and illustrator. 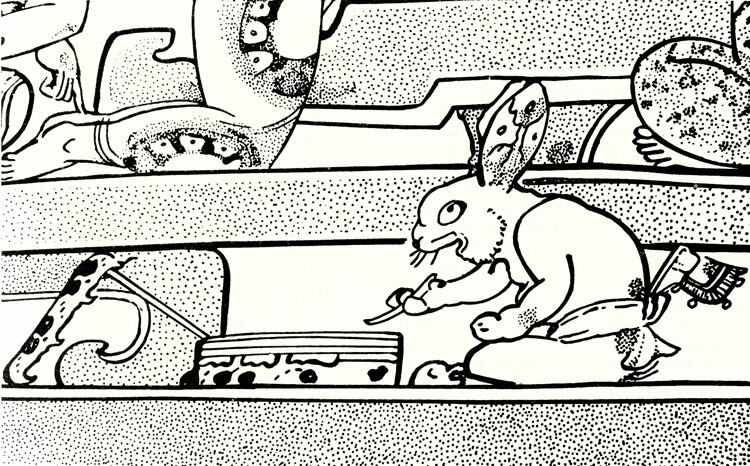 Intrigued by the fantastic images and cities depicted, they determined to travel in search of Maya ruins and publish a book with illustrations about these wondrous things. 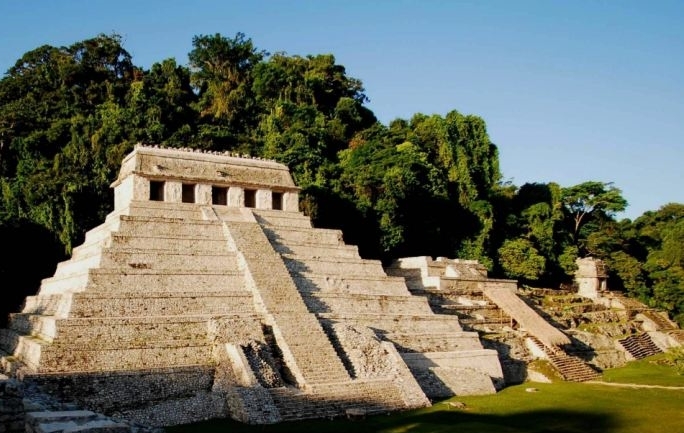 They went first to Belize to visit Copan (now in Honduras), and then planned visits to Uxmal, Palenque and other sites. Belize was under British control then, and some international competition got sparked. 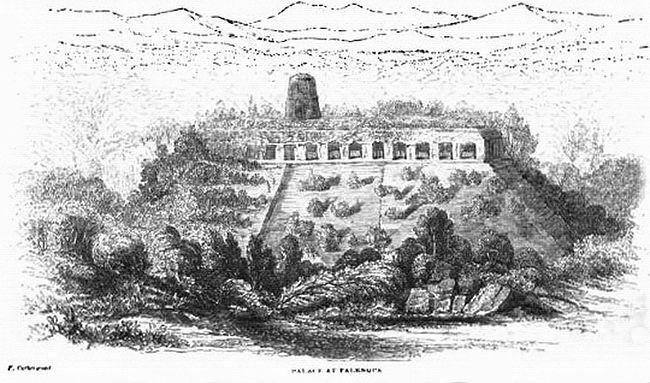 Patrick Walker, aide to the superintendent of British Honduras, and Lt. John Caddy of the Royal Artillery heard about Stephens and Catherwood’s plans to visit Palenque. Irked that the American expedition might reach Palenque before the British, Walker and Caddy quickly put together their own expedition. The Britons planned to reach Palenque first by going due west along the Belize River and across the Peten in Guatemala. They endured a grueling journey through swamps and jungles, arriving two months ahead of the American team. Excerpt taken from The Visionary Mayan Queen: Yohl Ik’nal of Palenque. These excerpts taken from the Archeological Field Journal of Francesca Nokom Gutierrez, a fictional archeologist in my books, describe the history of archeological exploration at Palenque. I’ll be doing several posts taken from her journal in the first 3 books in my “Mists of Palenque” series. 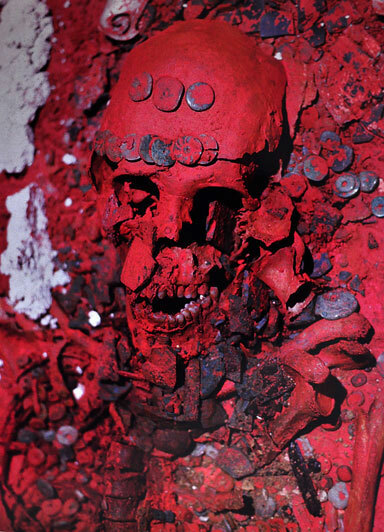 Revelations of the Mayan Red Queen’s skeleton about who she was. Early on, Pakal’s grandmother was eliminated because she died more than seventy years before the Red Queen’s tomb was built, and archeologists determined it was not a secondary burial. 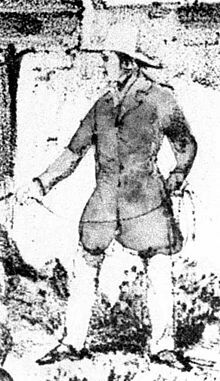 Both his mother and wife died within the time frame, and possibly the daughter-in-law, although her date of death is not known. 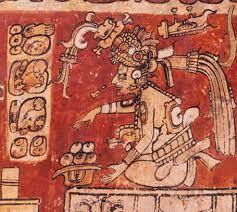 The bones were permeated with red mercuric oxide called cinnabar, used as a preservative by ancient Mayas. The bright red color also symbolized sacred energies of blood, called itz. It was the color of the east, the rising sun, the renewal of life eternal. Cinnabar made the bone cells very difficult to examine microscopically, and the bone matrix had deteriorated over time. bedrock, and vary with the age and type of rock. Isotopes move from rock into soil and groundwater, into plants and through the food chain. In humans, strontium isotopes in skeletal bones reflect diet during the later years of life; those in tooth enamel indicate diet during childhood. 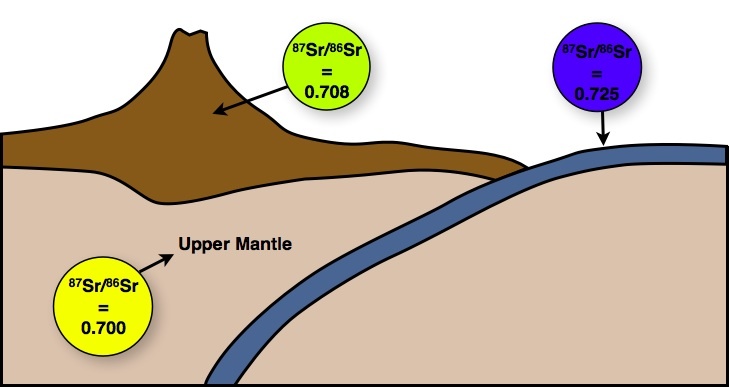 Geologically different regions will have different isotope ratios. When the isotope ratios of Pakal’s bones and teeth were examined, these showed he was born and resided in later life in the Palenque region. 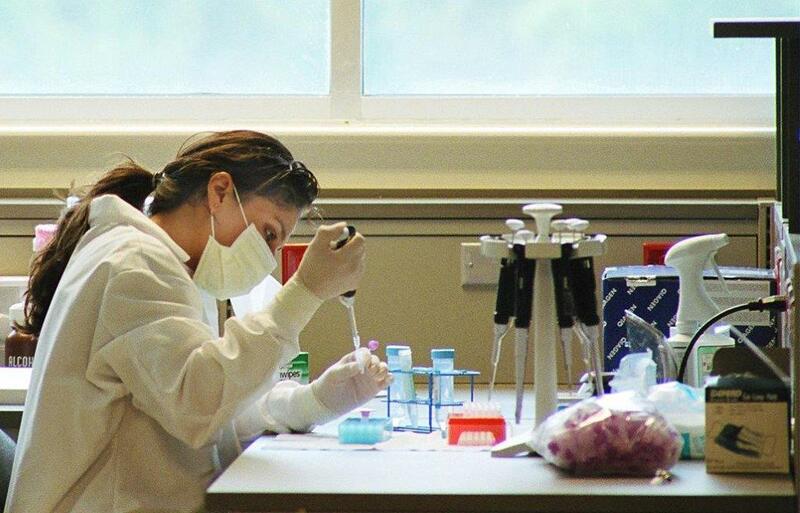 The Red Queen’s tooth enamel had isotope ratios of a different geographic region located in the western part of Veracruz, making it likely that she came from Tortuguero or Pomona. Epigraphic evidence also indicates she was from a different city than Palenque. The strontium isotopes studies made it unlikely that the Red Queen was Pakal’s mother, who was born and lived her life in Palenque. Palenque in 2012, after residing in Mexico City since their discovery in 1994. 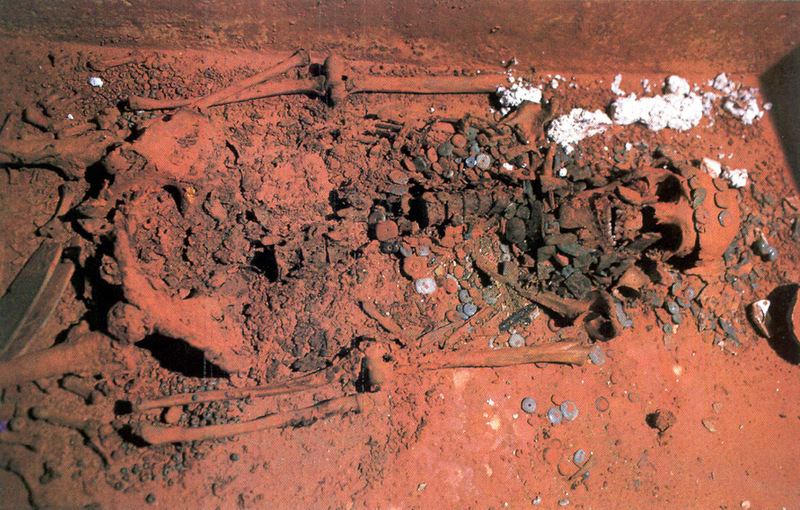 Placed in several carefully sealed boxes, her bones are kept in the archeological zone in a structure where humidity and temperature can be controlled. Her burial chamber in Temple XIII has too much humidity and temperature fluctuation to safely house the bones and prevent further deterioration. Her empty sarcophagus can be viewed in its chamber, still coated with cinnabar. Read the story of The Mayan Red Queen in well-researched historical fiction. Compelling depiction of her life with Pakal at Palenque (Lakam Ha) during its height as a creative and political vortex. Part 1 – The Candidates For the Mayan Red Queen. “The Red Queen” was the nickname given by archeologists to the red cinnabar-permeated skeleton of a tall woman, covered with jade and shells, found inside a sarcophagus whose inner walls were also coated red. They knew she was someone important, probably royalty related to famous Maya king K’inich Janaab Pakal, since Temple XIII which contained her sarcophagus was adjacent to his burial pyramid in Palenque. After an expert Mexican physical anthropologist determined the skeleton was female, speculation ran rampant over who she was. Discovering her identity would be difficult, however, because the crypt and sarcophagus did not have any inscriptions. This was surprising, since Pakal’s crypt walls, sarcophagus walls and lid were literally covered with Maya hieroglyphs, symbols and portraits of ancestors. The process of deduction led to identifying four candidates in Pakal’s family. From Pakal’s burial, tablets and panels we know the names of his mother and grandmother. From panels in the Palace and Temple of the Inscriptions we can identify the names of his wife and daughter-in-law. He apparently did not have any sisters or daughters, although he did have four sons. The candidates for The Red Queen were Pakal’s grandmother, mother, wife and daughter-in-law. Yohl Ik’nal was the grandmother of Pakal. Her birth date is not known, but the glyphs recorded that she ascended to the throne of Palenque in 583 CE. She was the first Mayan woman to rule in her own accord, and most probably inherited rulership from her father, Kan Bahlam I. She ruled successfully for 21 years, fending off attacks from Kalakmul and bringing prosperity and new constructions to her city. Although there is disagreement among Mayanists about dynastic succession, the interpretation I’m following holds that Yohl Ik’nal was the mother of Aj Ne Ohl Mat, a son who ruled from 605-612 CE, and Sak K’uk, a daughter who ruled from 612-615 CE. period in Palenque, when the city suffered a devastating defeat by Kalakmul near the end of her brother’s reign. After he was killed, the city was without leadership and in spiritual crisis, because their sacred portal to the Gods and Ancestors (the Sak Nuk Nah–White Skin House) had been destroyed. Sak K’uk managed to assume the throne and hold it until her son, Pakal, was 12 years old and acceded. It’s highly likely that she continued to provide leadership for several more years. Tz’aakb’u Ahau was the wife of Pakal. Her birth date is unknown; they married in 626 CE. Born in a neighboring town, very little is recorded about her. She bore Pakal four sons, two of whom became rulers. 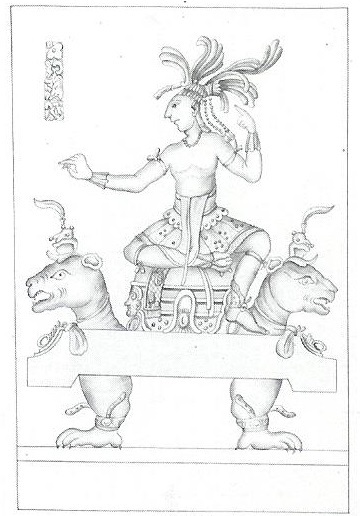 She is depicted on the Dumbarton Oaks tablet sitting with Pakal on either side of their second son to rule, K’inich Kan Joy Chitam, and again on the Palace Tablet tendering him the symbols of divine ancestry. Her death in 673 CE is recorded in the Tablets of the Temple of the Inscriptions. An image that many consider to be her appears on the inner piers of that Temple, cradling the lineage deity Unen K’awiil (of the Palenque Triad Deities). K’inuuw Mat was the daughter-in-law of Pakal. She married Pakal’s youngest son, Tiwol Chan Mat (647-680 CE.) 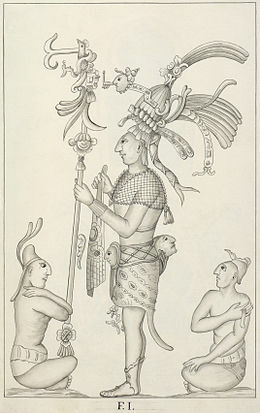 Although two of Pakal’s older sons ruled, neither of them left heirs. Succession passed on after the last brother died to the nephew of the previous kings. 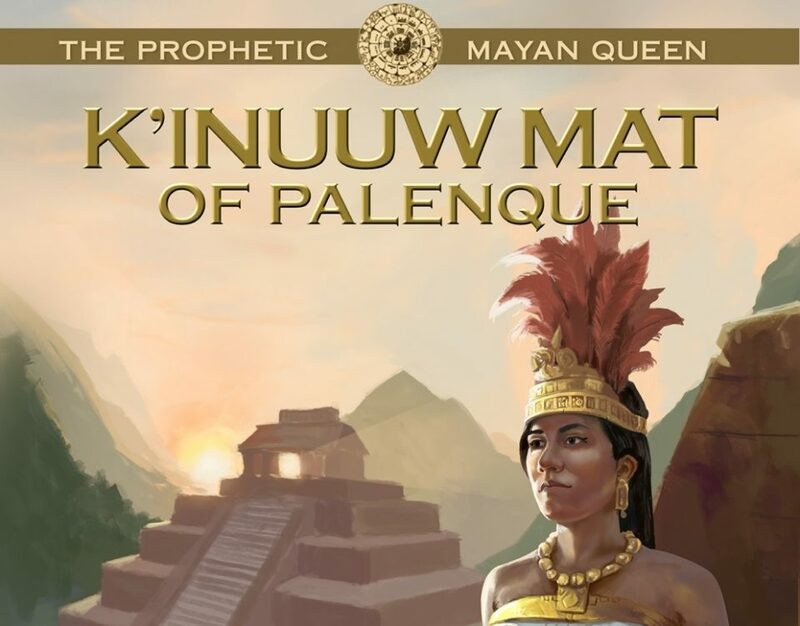 We know almost nothing about K’inuuw Mat, except that she was not from Palenque. 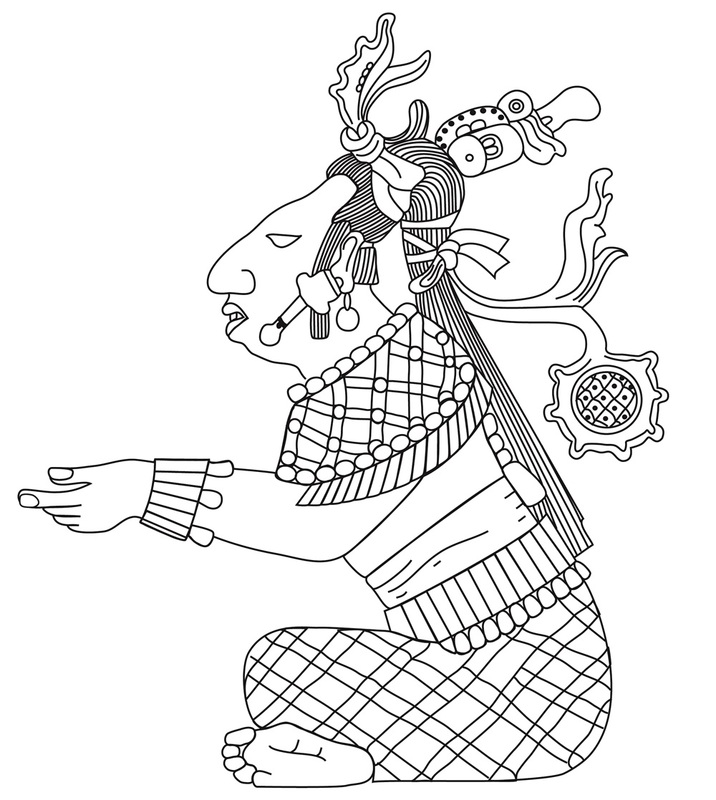 Her son K’inich Ahkal Mo’ Nab III continued Pakal’s dynasty by acceding to the throne in 721 CE. Among the most beautiful artwork of the ancient Mayas are the carved stone and stucco panels of Palenque. This city flourished from 400-900 CE in the mountain rain forests of southern Chiapas, Mexico. It became the regional vortex of creativity and the dominant ritual-political center during the reigns of K’inich Janaab Pakal and his sons. 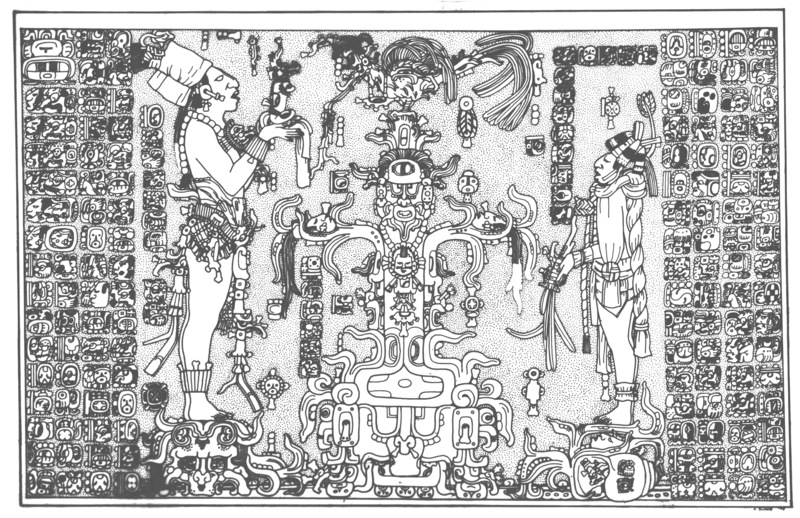 Rediscovered in the 16th Century by Spanish explorers and brought to international attention in the mid-1800s by John Lloyd Stephens’ travel books (1,2), Palenque enthralled visitors with its graceful, realistic figures on numerous panels and pillars, its harmonious architecture and copious glyphic writing. The relief panels were carved of high quality limestone and coated with layers of stucco, creating smooth surfaces. Originally these were painted vibrant red, green, yellow and blue but the colors faded over the centuries. Many buildings had panels set into the walls of chambers and figures adorning pillars, including the Palace, Temple of the Inscriptions, and Cross Group. Panels set inside the interior chambers of buildings were best preserved; many pillar carvings deteriorated over time due to the humid tropical climate and encroaching vegetation. beautiful piece of art of the aboriginal Indians,” said Paul Caras in his 1899 article published in The Open Court journal, Volume 13. 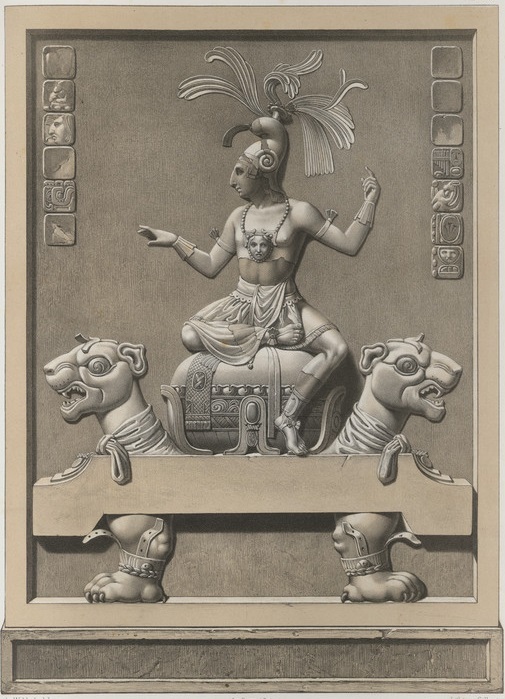 It was a panel depicting a single male figure dressed simply, seated on a double-headed jaguar throne. This panel is known as the Beau Relief for its beauty. The elegant position of the figure’s arms and legs evoked a languorous dance. Rows of hieroglyphs bordered the upper sides and the throne was set upon two powerful claw-like legs. 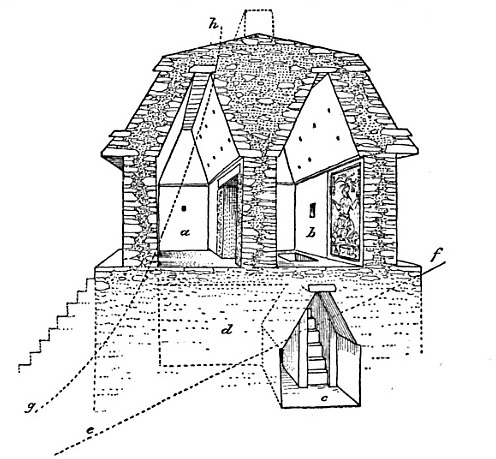 The panel was set on the inner chamber’s rear wall in the small, nearly square temple that sat on top of a hill. Steep stairs climbed to the entry chamber where a single front doorway gave access; its rear door led to the inner chamber. An opening in the floor of the inner chamber led to stairs that descended into a basement chamber. The first European to depict the Beau Relief panel in this jungle-shrouded temple was Ignacio Armendáriz, an artist who accompanied Antonio del Río, artillery captain serving in the Spanish outpost in what is now Guatemala. By order of King Charles III of Spain, the ruined cities in the jungles of his new territories were to be explored and documented. 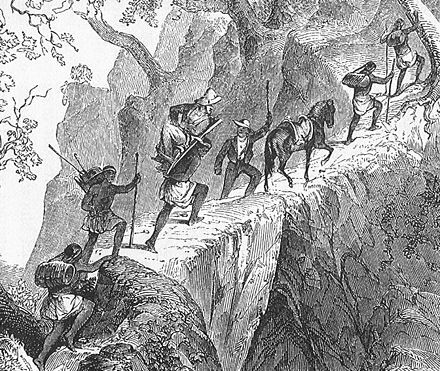 In 1787 the Spaniards climbed the steep, treacherous trail following river cascades up to the ruins of Palenque, led by local Ch’ol Maya guides. After a month of clearing off trees and shrubs, the group exposed several impressive stone buildings. Del Río dug for artifacts and collected some art objects, while writing descriptions of Palenque’s buildings. Armendáriz drew pictures of 30 subjects, including tablets of the Temples of the Sun, the Cross and Foliated Cross, hieroglyphic tablets from the Palace subterranean passageways, and the Beau Relief tablet in the Temple of the Jaguar. The second artist to draw the Beau Relief was the flamboyant Jean-Frederic Waldeck, a self-proclaimed count with a colorful and controversial history. 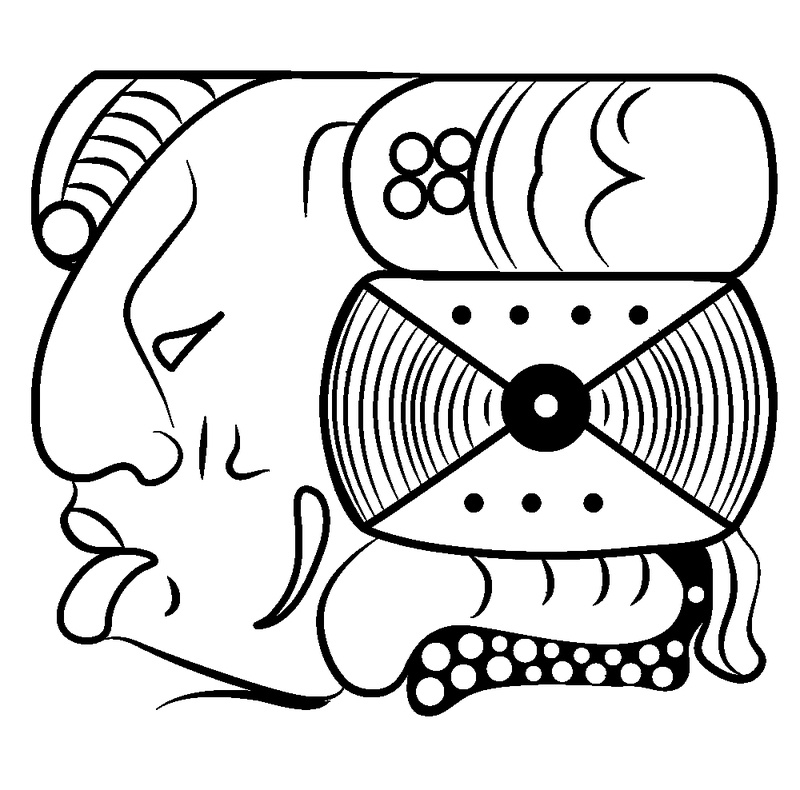 Waldeck resided at Palenque for about one year in 1832, and carefully drew the panel on a grid, adding embellishments such as fine-line suggestions of musculature and costume details that gave a classic Roman look. 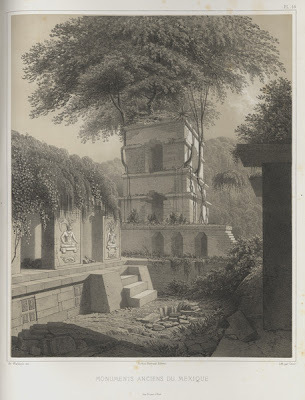 Waldeck intended his work for popular consumption and believed the amazing ruined cities were created by ancient Asian or European cultures, or reflected cross-cultural stimulation. Shortly after Waldeck completed this drawing, the upper portion of the Beau Relief was destroyed, leaving only the throne and its legs. It is not clear how this occurred; some Mayanists believe Waldeck caused the figure’s destruction for unknown reasons. (6) During this time period, looting artifacts from ruins was common, including removal of portions from wall panels and pillars. 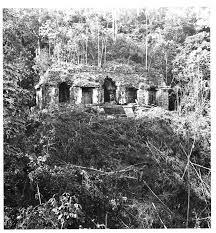 Now the Temple of the Jaguar is a partially collapsed ruin sitting on top a high hill, infrequently visited because of the steep path through dense jungles leading to it. We can only imagine what this magnificent sculpture in stone and stucco – the Beau Relief – must have looked like when freshly created, possibly portraying Pakal in his glory as the greatest ruler of Palenque. 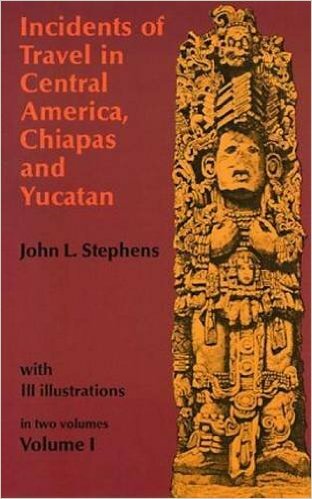 Stephens, John Lloyd (1841) Incidents of Travel in Central America, Chiapas, and Yucatan. Two volumes, Harper and Brothers, New York. 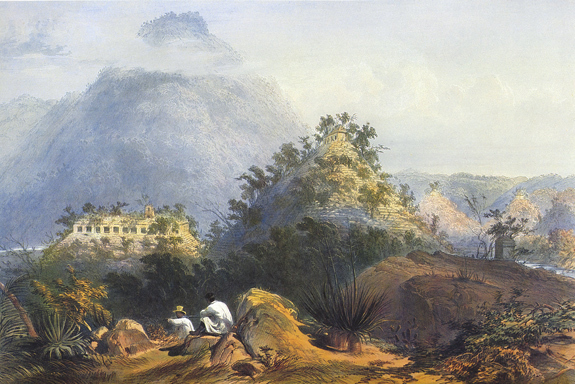 Stephens, John Lloyd (1843) Incidents of Travel in Central America, Chiapas, and Yucatan. Two volumes, Harper and Brothers, New York. Humboldt, Alexander de (1810) Vues des cordilléres en monuments des peuples indigènes de l’Amérique. Chez F. Schoell, Paris. 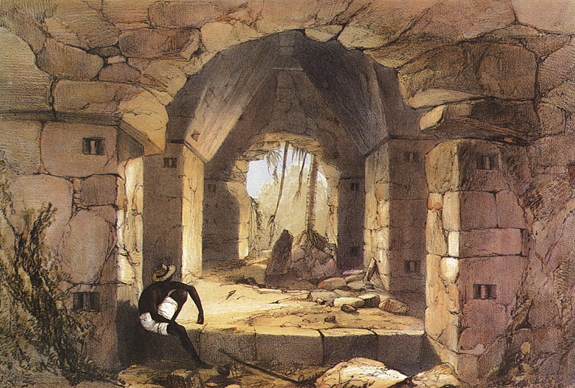 Del Río, Antonio, and Paul Felix Cabrera (1822) Description of the Ruins of an Ancient City… Henry Berthoud, London. Kingsborough, Lord (1829-1848) Antiquities of Mexico… Nine Volumes, London. Stuart, David and George Stuart (2008) Palenque: Eternal City of the Maya. Thames & Hudson Ltd, London.